The Gift! – The FunYuns! 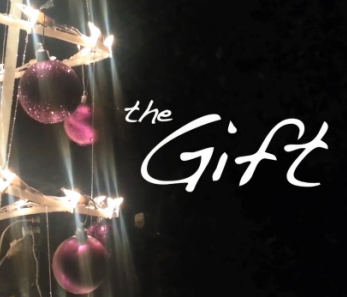 “The Gift” was truly a labor of love for me. I was very, very, VERY reluctant to do the movie as Jane wanted this done within a neck-breaking 3 weeks. I thought it was impossible, with enough going on in our life already and just the sheer volume of work required of making any video, I was very discouraged and discouraging of the idea. She was very adamant that a video had to be done and said that if I wasn’t gonna help her then she would do it herself. With enough on her plate already and I mean come on…how was I not going to help my fiance with anything video related. I feel like that’s a commandment somewhere. If you’re woman….or man….are passionate about doing something and that something just happens to be your specialty, you don’t leave them hanging to do it alone despite how you feel. But as the duration of the video grew, so did my determination and passion for it to be made right. So after peeling back some layers, it finally became 16 minutes. A nice compromise with a shorter version better than the original. Much like the relationship I have with Jane, I’m always too sedentary (literally) to want to try new things. But she always manages to get me to go out of my shell to try it (usually by yelling or making me feel guilty :-D) And SOMETIMES, she’s actually right. That’s a point Jane tries to make with me ALL the time: If you’re going to do something, do it with 100% (and with a smile)! Like our character of “Boy” in the film, I only put just enough effort where it wouldn’t have to burden me. But with the deadline approaching and the long nights of editing it seemed easier to run away and just shelve the whole thing. But even when she’s not around, I hear Jane’s voice gently screaming in my head to give it my all. Regardless of what people thought, I didn’t want to do something where I didn’t truly give it my all. And then I had that moment that almost every guy hates to have. The “AH CRAP, she was right” moment. A good woman always tries to make her man want to be better. And that was her gift to me. The experience was every bit as rewarding for me as I hope it will be for you watching it. Long-winded as I am, it wasn’t that bad to read this post as it would have been watching my 30 minute director’s cut right? Since you’ve braved reading the blog post, I’m rewarding you with 2 more Christmas movies from the past!